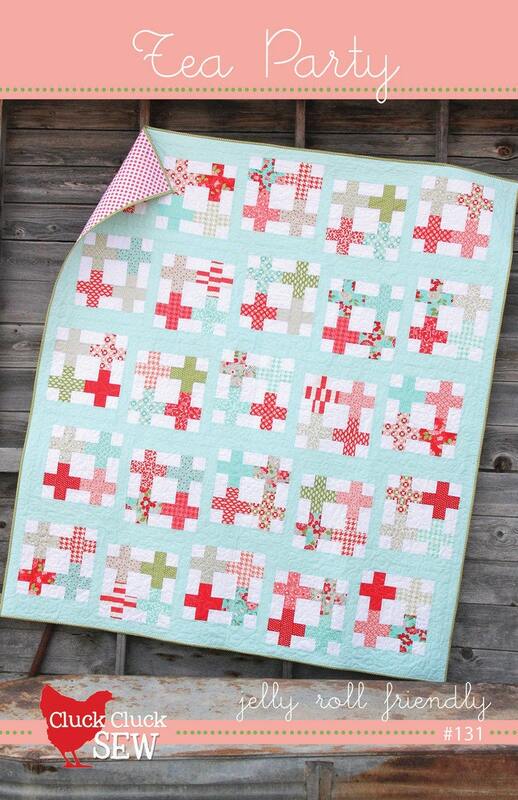 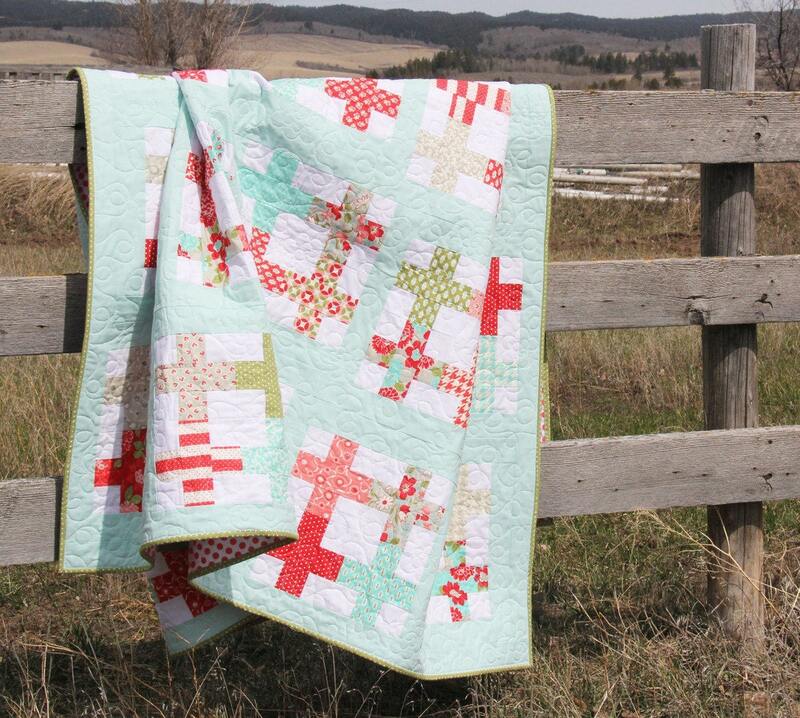 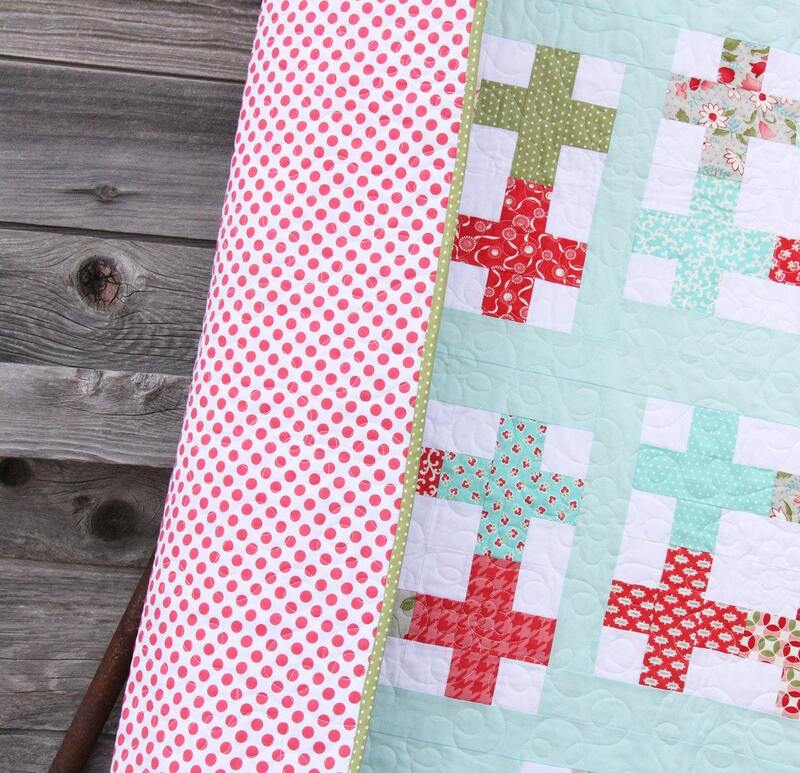 Tea Party is jelly roll friendly, or a great way to use 2 1/2" strips cut from your stash. 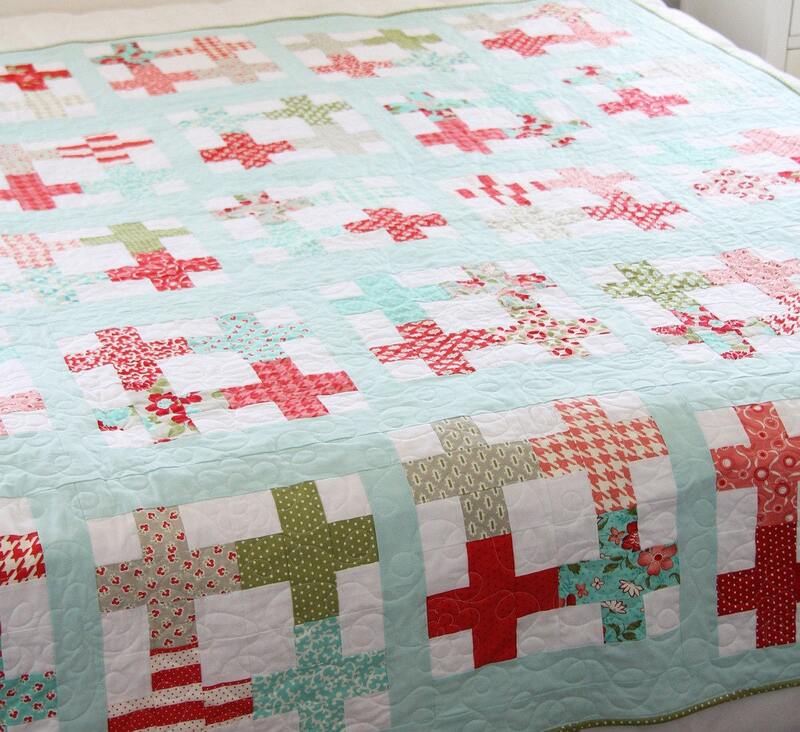 The large size is great to throw over a bed or lay on the couch. 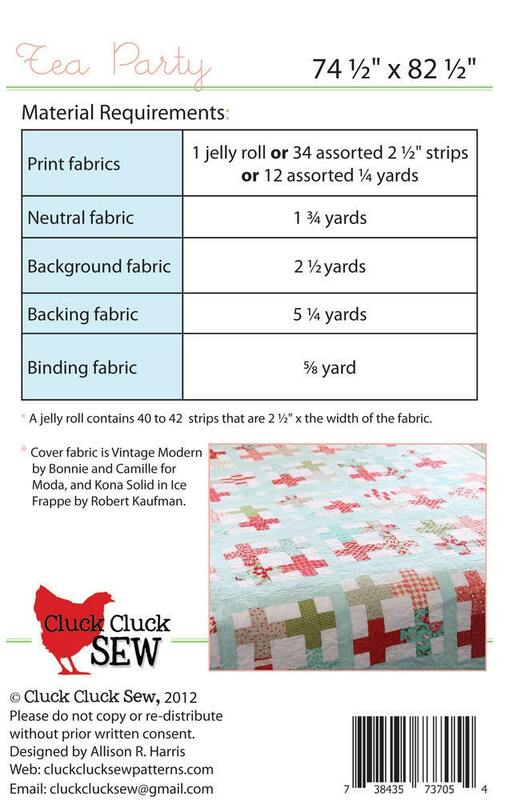 It's a beginner friendly pattern, with color illustrations in an easy to store booklet to help you along the way.